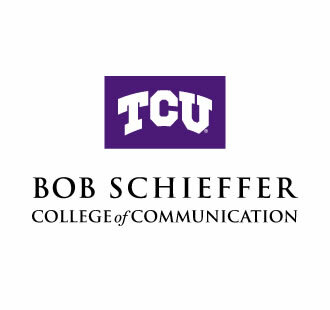 More than 300 Bob Schieffer College of Communication students, parents, alumni, donors, Board of Visitors members and TCU stakeholders gathered Friday afternoon, Sept. 15, 2017, to celebrate the newly remodeled home of the Schieffer College. A team composed of 19 student ambassadors, TCU Chancellor Victor Boschini, and donors Roy (’59) and Jeannine (’60) Eaton, cut a ribbon to officially mark the remodeling that has transformed the Schieffer College’s learning environment. Thanks to the partnership of TCU and our generous donors, we now enjoy six new flexible classrooms, a new digital design and writing lab, a new television set inside the student newsroom, a new suite for our advertising and public relations agency, several new student networking and teamwork spaces, three new department offices, several new faculty offices, and a new “green screen” special effects film and television studio.